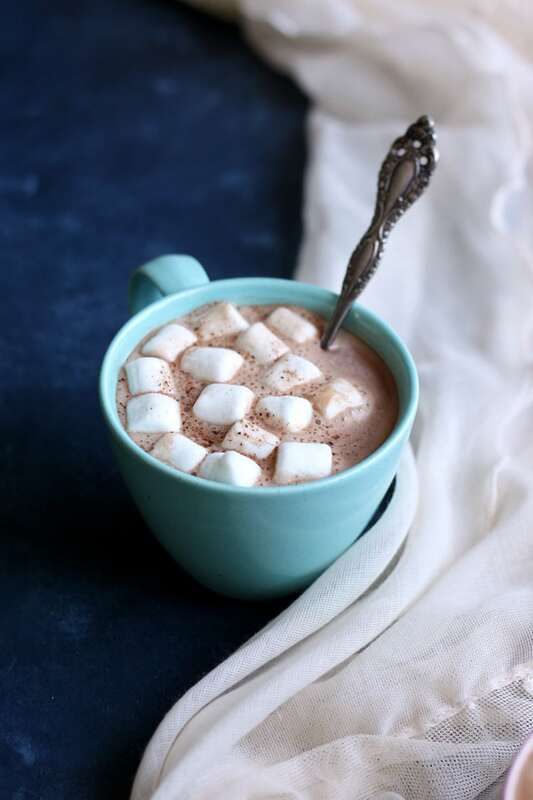 When the weather is cold enough, I love nothing more than curling up by the fire place with a cup of hot chocolate and a good book. 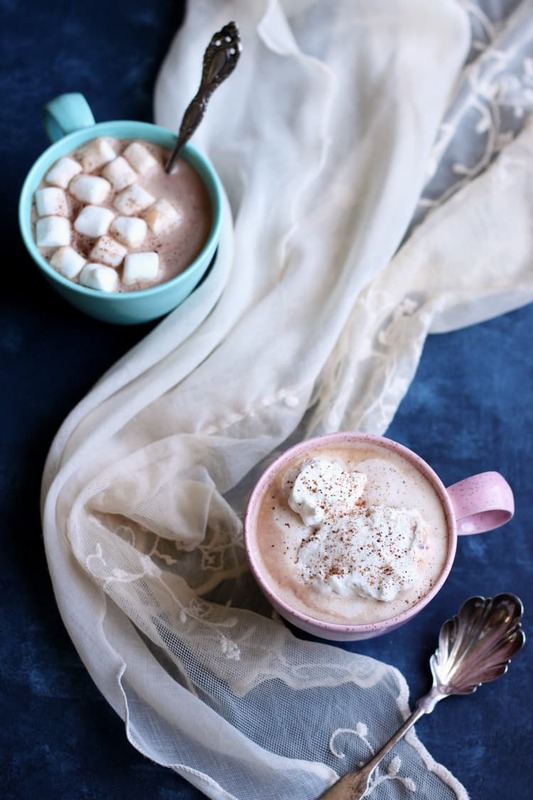 But if you’re tired of the same old store bought cocoa pack, why not try this homemade Spiced Hot Chocolate? 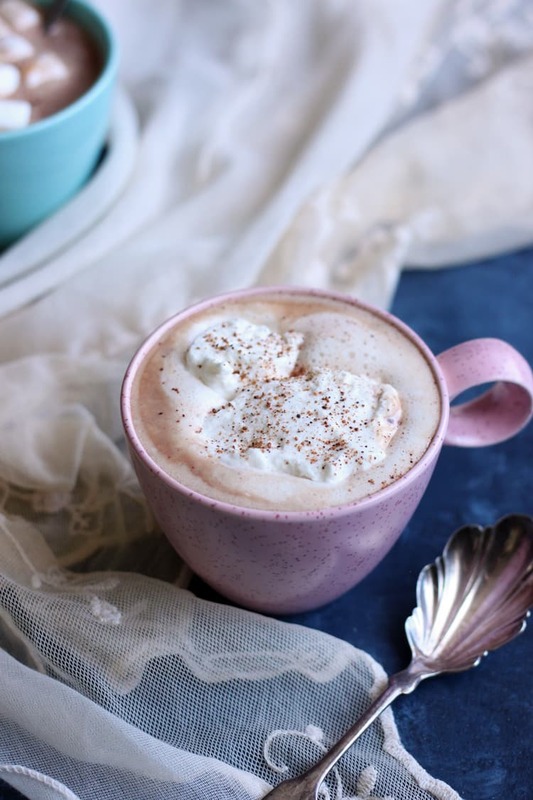 This Spiced Hot Chocolate recipe is so easy and uses ingredients you probably already have in your pantry and refrigerator. You don’t need any expensive chocolate or fancy hot cocoa mix. All you need is some unsweetened cocoa powder that you would normally use for baking, some sugar, a little bit of nutmeg and cinnamon, a little bit of heavy cream and plenty of milk. If you don’t happen to have cream on hand, you can substitute with milk instead, your hot chocolate just won’t be as rich. As for the milk, you must use whole milk for a richer taste. I wouldn’t recommend substituting it for a lower fat milk, because then you’ll just end up with chocolate water. And of course whipped cream on hot chocolate is a must for me. I prefer homemade, but any kind will do. 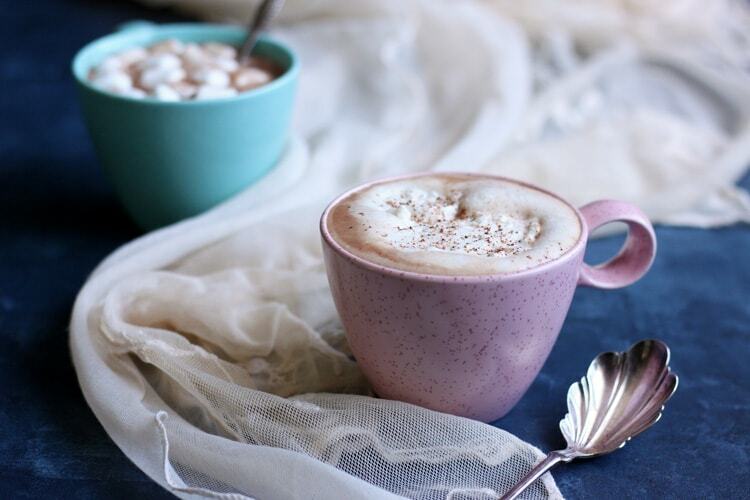 Finish off your delicious mug of spice hot chocolate with a few sprinkles of nutmeg or cinnamon to complete the flavor. Have a mug of spiced hot chocolate with a Marzipan Almond Scone for breakfast, or a Marzipan Filled Rugelach for dessert, and stay sweet this holiday season! Don’t forget to check out some of my other recipes on All She Cooks: Clementine Palmiers , Somen Noodles, and Dessert Pumpkin Hummus. Add cocoa powder, sugar, nutmeg and cinnamon into a large mug. Pour heavy cream over the cocoa powder mixture. Use a spoon to mix until a thick paste form. Heat milk in a small pot over medium heat until it start to simmer, let it simmer for a few minutes while stirring occasionally to get the entire pot of milk hot. Pour hot milk over the cocoa powder paste, mix with a spoon until completely dissolved. Garnish with marshmallows or fresh whipped cream, sprinkle some more cinnamon or nutmeg on top if desired. To make hot chocolate for two, divide ingredients equally between two smaller mugs.